On January 20, 1949, Chief Justice of the United States Fred Vinson (one of Truman’s four appointees to the Supreme Court) administered the oath of office to Harry S. Truman. 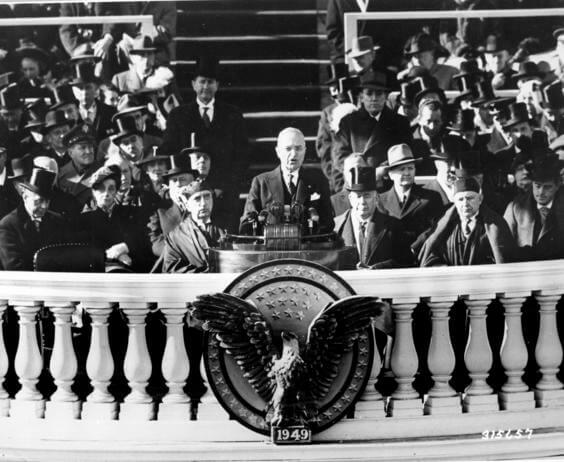 At 12:35 p.m., President Truman delivered his inaugural address to the nation. The address totaled 2,264 words. Read President Truman’s Inaugural Address in its entirety below. On January 15, 1953, President Truman delivered his farewell address to the nation. 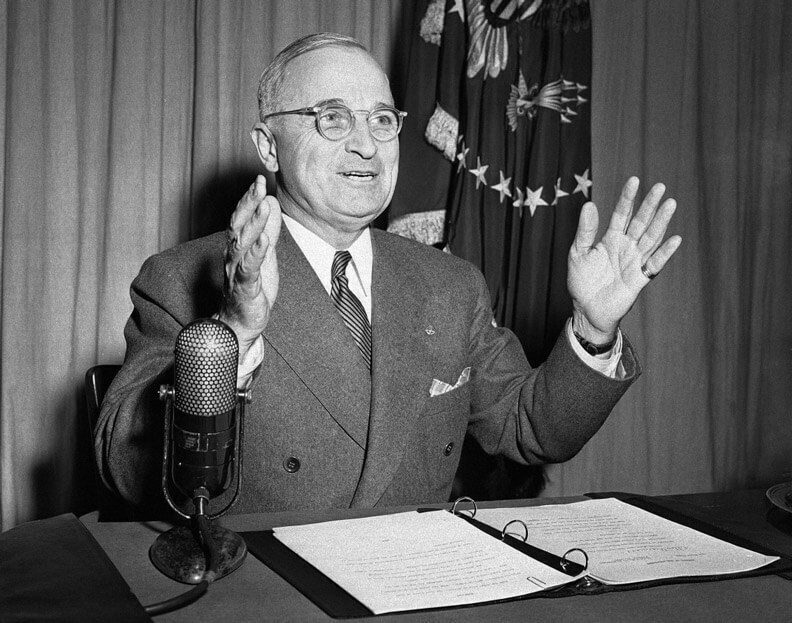 In a mere 24 minutes, President Truman spoke about the peaceful transition of power, the presidency and presidential decision-making, forging alliances, containing the Soviet threat and the Cold War, the Korean Conflict, the use of atomic power, the White House renovation, and the American people. The 3,757-word address was broadcast nationwide from Oval Office at 10:30 p.m.
Read on for some of our favorite excerpts from President Truman’s Farewell Address.